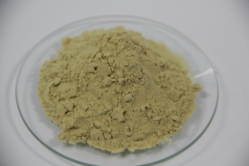 Prominent & Leading Authorized Wholesale Dealer from Indore, we offer amino acid powder 50%, amino acid powder (85-90%), protein hydrolysate powder, l- cystien mono (hydrochloride), amino acid 40 ( liquid) and amino acid (shiny balls). Our organization offers Amino Acid Powder 50%, which is immensely used as a rich source of protein for crops in agriculture sector. It promotes hormonal activity and induces their synthesis resulting into flowering and fruit setting. It enhances nutritional uptake and their utilization which improves the colour, size, lustre and taste of fruits. We offer these products in various constituents at cost effective prices in packaged bags. Packaging Details: 20 Kg Bag. 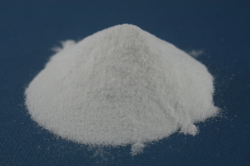 Our client can be availed Amino Acid Powder (85-90%) from us. Our range of advanced technology Biocides and disinfectants have been developed for use in a wide range of commercial cleaning, environmental hygiene, industrial and process water treatment activities where the effective control of microbiological activity in water and on surfaces is essential. Our Amino acid contains Protein Hydrolysate which enhance the nutritional intake which improves the colour size taste and enhance yield of the crop. 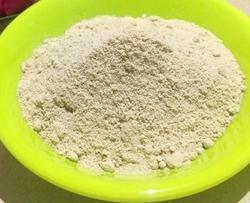 Our company has set the benchmark in offering Protein Hydrolysate Powder to the clients. 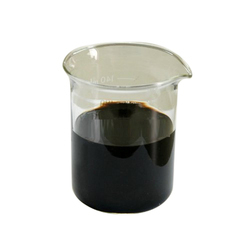 This product is extremely praised in the market due to long shelf life, correct composition, purity, and effectiveness. The offered range is processed by knowledgeable professionals, who have prosperous skill in this field using the most contemporary technique to confirm the industry norms. Protein Hydrolysate Powder is strictly tested on varied constraints to promise quality before providing to patrons. Offered range is widely demanded by the customers owing to remarkable attributes. We are offering L- Cystien Mono (Hydrochloride) to our clients. We provide high-quality products to our clients. Bio-fertilizers Bio-40 contains around 20 types of Amino Acid 40 ( Liquid). Total amino acids available in b-40 around 38-40% Total nitrogen available in b-40, 6.0 to 6.5%, which is mostly organic nitrogen. Ammonium nitrogen is very less i.e. 0.3 to 0.4%. Packaging Details: 60/100/200 Kgs Liquid Drums. We are the manufacturer of Amino Acid (Shiny Balls). We provide high-quality products to our clients. We are offering Bio Protein Hydrolyzed Spray Dried Powder (85-90%) to our clients. We provide high-quality products to our clients.